What do you do if you come across your favorite insect and the shooting conditions are less than ideal? You shoot and shoot and shoot until you are fairly satisfied you got what you need to make a decent photo. 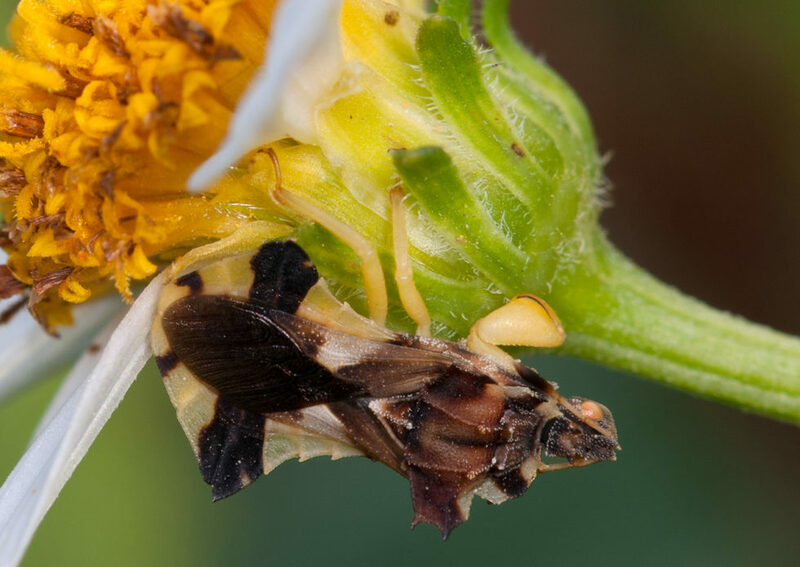 This spectacular creature you see here is the Ambush Bug. Combine raptor-like arms, an adorably sinister face, and a body shaped like ancient samurai armor, and you get one of the coolest bugs around. One of my goals while shooting in Florida this summer was to find this particular arthropod. A giant thank you to my husband for spotting it! And while nicely placed on this flower, the wind gods did their best to thwart my picture taking. I ended up taking over 40 shots here and stacking three of them together to make this photo happen.